Since the reinstatement of the federal death penalty in 1988, 78 defendants have been sentenced to death, of whom 3 have been executed and 12 have been removed from death row. Three other defendants have had a jury recommend death sentence, but a death sentence was not ultimately imposed. Two of those three defendants have now received lesser sentences. In the third case (John Wayne Johnson), the authorization to seek death was withdrawn. Federal death row, like state rows and the military row, is a single jurisdiction with its own unique features. Each federal death penalty case is authorized by the Department of Justice (DOJ) in Washington, DC, in consultation with local United States Attorney Offices. The U.S. Attorneys in each district are the ones who actually prosecute the cases, sometimes with help from attorneys at the DOJ in Washington. With a few exceptions, federal death row prisoners from all over the country are housed in the Special Confinement Unit at U.S. Penitentiary Terre Haute in Indiana; this is also where the federal death chamber is housed. The 62 prisoners currently on death row come from approximately one-third of the 94 total federal judicial districts. Two-thirds of current federal death sentences were imposed in 3 of the 12 federal judicial circuits: Fourth Circuit (15 sentences), Fifth Circuit (15 sentences), and Eighth Circuit (12 sentences). Nearly half of the federal death sentences are from only three states (TX, VA, MO). Contrary to what many believe, the federal death penalty is frequently employed in cases where a conviction or death sentence would have also been available in state courts. There are no prisoners on the federal row for treason or air piracy, for example, and only one prisoner's case was related to terrorism. Individuals under federal sentences of death include defendants who were already serving long state prison sentences for the same homicide, those who were prosecuted in federal court because the vehicle used in a carjacking was once shipped through interstate commerce, and others whose case involved the death of an intimate partner. A number of federal death sentences were prosecuted in states that have abolished the death penalty. Click here for a complete list of federal capital offenses. Convicted and sentenced to death for the killing of a prisoner in a federal prison. Convicted and sentenced to death for planning and participating in the deaths of alleged rival in the drug business and her two cohabitants. Death sentence overturned and awaiting re-sentencing proceedings. Convicted and sentenced to death for the killing of his ex-girlfriend, as well as another man in a carjacking. Convicted and sentenced to death for the fatal shooting of a state police officer who was serving a ‘no-knock’ warrant on his house for suspicion of drug activity. Convicted and sentenced to death for the killing of a prison guard. Convicted and sentenced to death for the killing of a bank security guard during an aborted robbery attempt in St. Louis. Convicted and sentenced to death for abuse leading to the death of his daughter at a military base. Convicted and sentenced to death for the fatal stabbing of a postal worker. Convicted for actions stemming from an attempted bank robbery committed with several others during which two bank employees were killed. Police officer convicted and sentenced to death for ordered the killing of a witness for an internal affairs investigation into a police misconduct complaint against him. Pled guilty and sentenced to death for the kidnapping and sexual abuse of a minor. Pled guilty to and sentenced to death for the fatal shootings of two campers on federal land. Convicted and sentenced to death for the fatal shooting of his former girlfriend after having escaped from a detention center where he was being held pending a federal weapons charge. Convicted and sentenced to death for klling a woman on federal land. Convicted and sentenced to death for a drug-related killing. Convicted and sentenced to death for kidnapping and killing three women on federal land. Convicted and sentenced to death for the killing of two children in a drug related conspiracy in which three others were also killed. Convicted and sentenced to death for the fatal shooting of a woman while on federal property in North Carolina. Convicted and sentenced to death for the fatal shooting of a special-duty police officer during an attempted bank robbery. Convicted and sentenced to death for a carjacking resulting in the death of a North Georgia woman. Convicted and sentenced to death for his involvement in the killing of a gun dealer and his family. Convicted and sentenced to death for his involvement in the kidnapping and death of an alleged drug dealer. Convicted and sentenced to death for a carjacking resulting in the deaths of two people on an Indian Reservation. Convicted and sentenced to death for killing a woman and seizing her unborn baby. Pled guilty and sentenced to death for the kidnap and murder of a girl. Convicted and sentenced to death for his involvement in the robbery and killing of a retired National Park employee on federal land. Convicted and sentenced to death for the kidnapping and death of a Kansas City teenager. Convicted and sentenced to death for the killing of two men in drug-related incidents in Ft. Worth. Convicted and sentenced to death for a kidnapping resulting in the death of a college student. Convicted and sentenced to death for the fatal shooting of nine parishioners in a church in South Carolina. Convicted and sentenced to death for his involvement in the death of a Naval officer in a murder-for-hire plot in Newport News. Pled guilty to the separate carjacking and killing of two men, and sentenced to death for the death of one of the victims. Convicted and sentenced to death for the kidnapping resulting in death of a 12-year old girl. Convicted and sentenced to death for his involvement in the killings of 12 people in connection with a drug enterprise. Convicted and sentenced to death for the carjacking, kidnapping, and death of a restaurant owner. Ex-marine convicted and sentenced to death for the killing of a fellow service member. Convicted for offenses committed in the Boston Marathon bombing and sentenced to death for two of the victims killed. Convicted and sentenced to death for the fatal shooting of two brothers in a North Carolina restaurant. Note: If a defendant's conviction or death sentence has been reversed by the courts but the reversal is not yet final, or the defendant is awaiting capital retrial or resentencing after an initial conviction or death sentence has been overturned, his or her name appears in brackets [ ]. From time to time, this list may include defendants whose cases are marked with an asterisk (*). This indicates that the defendant has received a verdict of death from the jury, but the judge has not yet issued a formal sentence. In the federal system, the judge is obliged to follow a unanimous jury recommendation. (Source: Federal Capital Habeas Project.) Because of different definitions of what constitutes being "on death row," some organizations such as the Federal Death Penalty Resource Counsel or the Bureau of Justice Statistics may have a slightly different list of those currently under federal sentence of death. ** Has co-defendant, as noted, also on death row. *** States in bold have abolished the death penalty. + Has co-defendant(s) not on death row. Timothy McVeigh — White. McVeigh was sentenced to death in June 1997 for the bombing of the Oklahoma City federal building in 1995. The United States Supreme Court denied review on March 8, 1999. McVeigh was scheduled for execution on May 16, 2001 but was granted a 30-day stay of execution by Attorney General John Ashcroft after it was discovered that the FBI had failed to disclose more than 3,000 pages of document to McVeigh's defense team. McVeigh was executed on June 11, 2001. McVeigh's co-defendant, Terry Nichols, was capitally prosecuted by the federal government in a separate trial. He was convicted by the jury and sentenced to life without parole. Nichols was later capitally tried in Oklahoma state court for the murders of the 161 non-federal employees in Oklahoma City. He was convicted, and again the jury sentenced him to life in prison without parole. Juan Raul Garza — Latino. Garza, a marijuana distributor, was sentenced to death in August 1993 in Texas for the murders of three other drug traffickers. Garza was denied review by the U.S. Supreme Court in late 1999 and was facing an execution date of August 5, 2000. The date was postponed until the Justice Department finished drafting guidelines for federal death row inmates seeking presidential clemency, which were issued in early August. Garza was offered the opportunity to apply for clemency under the new guidelines and a new execution date of Dec. 12, 2000 was set. In December, 2000, President Clinton again delayed Garza's execution for at least six months to allow further study of the fairness of the federal death penalty. Garza was executed on June 19, 2001. Louis Jones — Black. Jones was sentenced to death in November 1995 in Texas for the kidnap/murder of a young white female soldier. The United States Supreme Court granted review of the case and heard arguments on February 22, 1999. The Supreme Court affirmed the conviction on June 21, 1999. Jones, a decorated Gulf War veteran who had no prior criminal record, claimed that his exposure to nerve gas in Iraq and post-traumatic stress from his combat tours contributed to his murder of Pvt. Tracie Joy McBride in Texas. President Bush refused Jones' clemency request. Jones was executed on March 18, 2003. Since 1988, the federal government has taken to trial a total of 203 federal death-penalty cases involving 297 defendants in 233 trials. These 297 defendants were culled from a larger pool of 503 against whom the Attorney General had authorized the government to seek the death penalty. Excluding 11 defendants who are awaiting or currently on trial on capital charges, 238 of the remaining 492 defendants avoided trial by negotiated plea, when the government dropped its request for the death penalty without a plea agreement, dismissed charges entirely or the judge barred the death penalty. Fourteen were found not guilty of the capital charge. Two others were declared innocent by the government. Charges were dismissed against a third when grave questions were raised about his guilt. There have been three executions. One death-row prisoner has been granted clemency. In cases in which juries actually reached the point of choosing between life and death, they imposed 151 (65%) life sentences and 83 (35%) death sentences. Of these 83 sentences of death, 4 defendants received a death sentence twice in the same case: one at his first trial and a second time in a retrial or resentencing proceedings after the original conviction or death sentence had been overturned. Three additional defendants were initially sentenced to death, but were granted new trials and ultimately were resentenced to life—one by jury, another by plea, and a third by judge. Of the total of 503 defendants against whom the Attorney General has authorized the government to request the death penalty, 251 have been African American (50%); 135 White (27%); 93 Hispanic (18%); 21 Asian/Indian/Pacific Islander/Native American (4%); and 3 Arab (1%). 368 of the 503 (73%) of the defendants approved for a capital prosecution by the Attorney Generals to date are members of minority groups. Thirty-five (58%) of the sixty defendants now on federal death row under active death sentences are non-White. Thirty-five (58%) of the prisoners on the federal death row were convicted of killing Whites. Only 185 (37%) of the 503 authorized killed Whites. Ninety-seven (19%) of the 503 killed a White female. Twenty-three (38%) of the fifty-nine defendants currently on death row killed a White female. "(a) Except to the extent a court orders otherwise, a sentence of death shall be executed: (1) On a date and at a time designated by the Director of the Federal Bureau of Prisons, which date shall be no sooner than 60 days from the entry of the judgment of death. 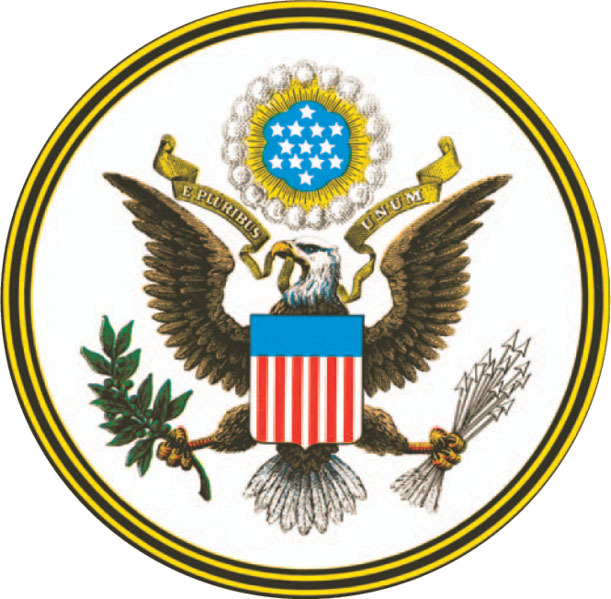 If the date designated for execution passes by reason of a stay of execution, then a new date shall be designated promptly by the Director of the Federal Bureau of Prisons when the stay is lifted; (2) At a federal penal or correctional institution designated by the Director of the Federal Bureau of Prisons; (3) By a United States Marshal designated by the Director of the United States Marshals Service, assisted by additional personnel selected by the Marshal and the Warden of the designated institution and acting at the direction of the Marshal; and (4) By intravenous injection of a lethal substance or substances in a quantity sufficient to cause death, such substance or substances to be determined by the Director of the Federal Bureau of Prisons and to be administered by qualified personnel selected by the Warden and acting at the direction of the Marshal. (b) Unless the President interposes, the United States Marshal shall not stay execution of the sentence on the basis that the prisoner has filed a petition for executive clemency." A federal prisoner sentenced to death has one appeal as a matter of right; the prisoner may appeal his conviction and sentence to the U.S. Court of Appeals for the Circuit in which the case was tried. After the appeal, a federal death-row prisoner may also ask the trial court that imposed the death sentence to review the constitutionality of the conviction and sentence. (See 28 U.S.C. § 2255.) Other review, such as Supreme Court review, is discretionary and can only be requested once, except under the rarest of situations involving clear proof of innocence or a new constitutional rule of law. The President of the United States alone has the power to grant commutation or pardon to a death-row prisoner. The Department of Justice has rules governing petitions for executive clemency; section 1.10 applies specifically to prisoners under a sentence of death. The Racial Geography of the Federal Death Penalty, by G. Ben Cohen & Robert J. Smith, Washington Law Review (2010). "Examining the districts with multiple federal death sentences against black defendants, we document a disquieting relationship between the racial geography of a county where an offense occurs, the demographics of the relevant federal district, and the likelihood that a federal capital defendant will receive a death sentence." On September 12, 2000, the Department of Justice released a study of the federal death penalty system which which found numerous racial and geographic disparities. DPIC's Summary of DOJ Study (Including Overview). Racial Disparities in Federal Death Penalty Prosecutions: 1988-1994, prepared by the Death Penalty Information Center at the request of the Chair of the House Judiciary Subcommittee on Civil and Constitutional Rights. The U.S. Government may seek the federal death penalty for violations of federal law in jurisdictions that do not have their own capital punishment statute. For example, in Puerto Rico, which forbids the death penalty under its constitution, a federal judge ruled in 2000 that the death penalty could not be sought against two defendants, Joel Rivera Alejandro and Héctor Óscar Acosta Martínez, because the death penalty is "locally inapplicable" (United States v. Acosta Martinez & Rivera Alejandro, No. 99-044 (July 17, 2000)). This decision, however, was reversed by the U.S. Court of Appeals for the First Circuit in June 2001 (United States v. Acosta-Martinez & Rivera-Alejandro, No. 00-2088 (June 6, 2001)), and the defendants were tried under the federal death-penalty statute. Acosta-Martinez and Rivera-Alejandro were acquitted July 31, 2003 (Associated Press, August 1, 2003). The U.S. military has its own death penalty statute, utilizing lethal injection, though no executions have been carried out in more than thirty years. See U.S. Military Death Penalty for further information. SOURCES: 1977-2013 See Bureau of Justice Statistics Bulletin, Capital Punishment Annual Reports. (For those persons sentenced to death more than once, only the most recent sentence is counted.) The numbers from 2014-2018 are based on DPIC research. *States without their own death penalty law when the federal sentence was imposed. Illinois, Maryland, and Connecticut no longer have the death penalty, but the federal death sentences in each state came when the state's death penalty was still in effect. +Death sentence overturned but still potentially subject to the death penalty in resentencing proceedings.